How can local government support citizen participation? How can citizens become more involved in local governance? Can the gap between citizen initiatives and governmental decision making be bridged? A group of 30 – 40 professionals, government employees and students joined an evening event that explained why citizen engagement matters and what effective strategies there are for addressing the topic. Three speakers gave insights into their work with government institutes in their respective cities and countries. Thomas Bönig shared some of his knowledge and ideas based on his experiences as head of the IT department in Munich. Caroline Paulick-Thiel from Berlin delivered insights from her work with various public and private organisations that bring together the fields of design and government policy. Ger Baron showcased several technology based case studies and approaches which the City of Amsterdam is currently implementing or testing. After an inspiring hour of input it was time for the audience to participate in the discussion. Anna Várnai opened up a Fishbowl (conversation) in which the speakers and the audience had an interactive 45 minute discussion. People from the City of Munich, employees of various design agencies and other professionals expressed their opinions and brought in valuable arguments. A variety of themes were addressed including the practicality of citizen participation, the value of technology in the process, the effectiveness of participation on the overall outcome, and many more. If you are interested in Participatory Design or Design in Public Services feel free to contact us. The event was initiated by an informal collaborative effort called the Participatory Design Sprint Team; Anna Várnai (IDEO), Bettina Koebler (Designit), and Conor Trawinski (Hans Sauer Stiftung). 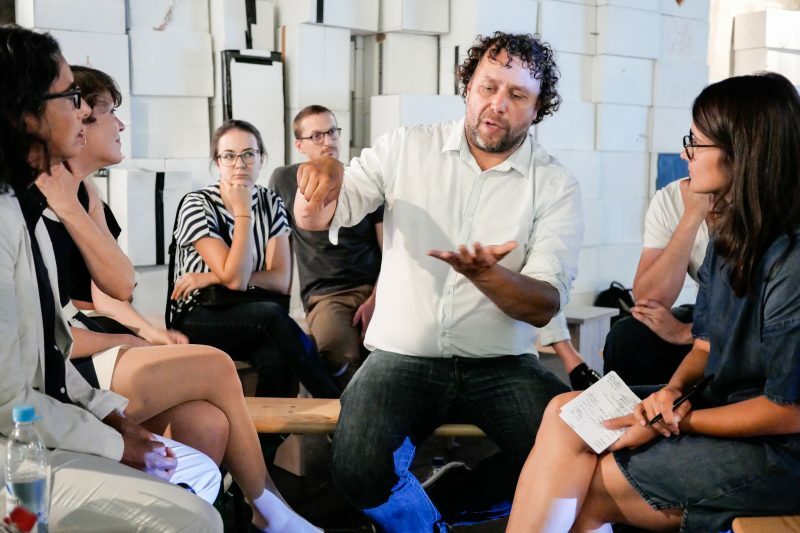 The event was supported by the City of Munich’s E- und Open-Government, Creative Holland, the Kompetenzteam Kultur- und Kreativwirtschaft and the Hans Sauer Foundation Social Design Lab. It took place under the umbrella of DIALOOGKREATIV, the exchange between the Amsterdam and Utrecht Regions, and the Metropolitan Area München.